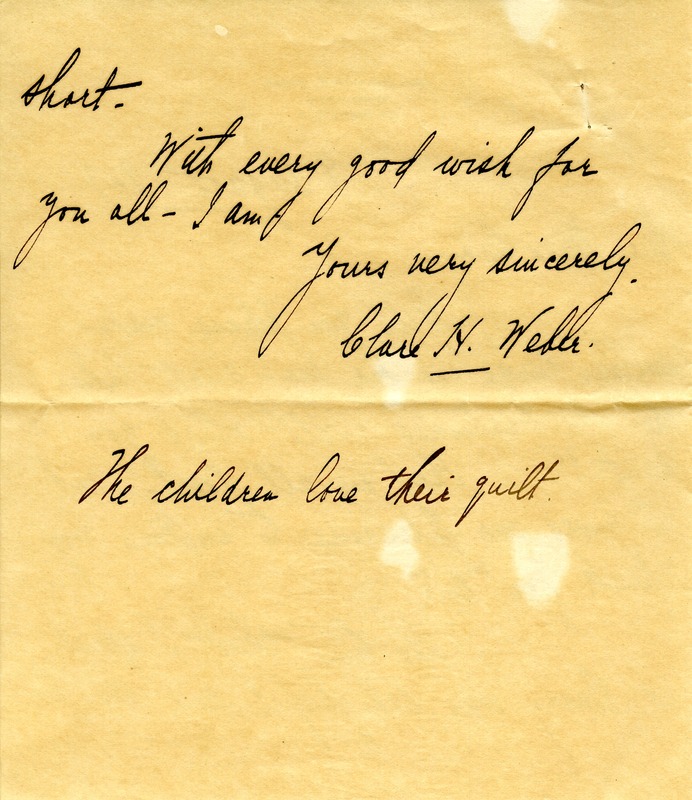 Weber praises the quilt she got for her children and orders a large one for herself. 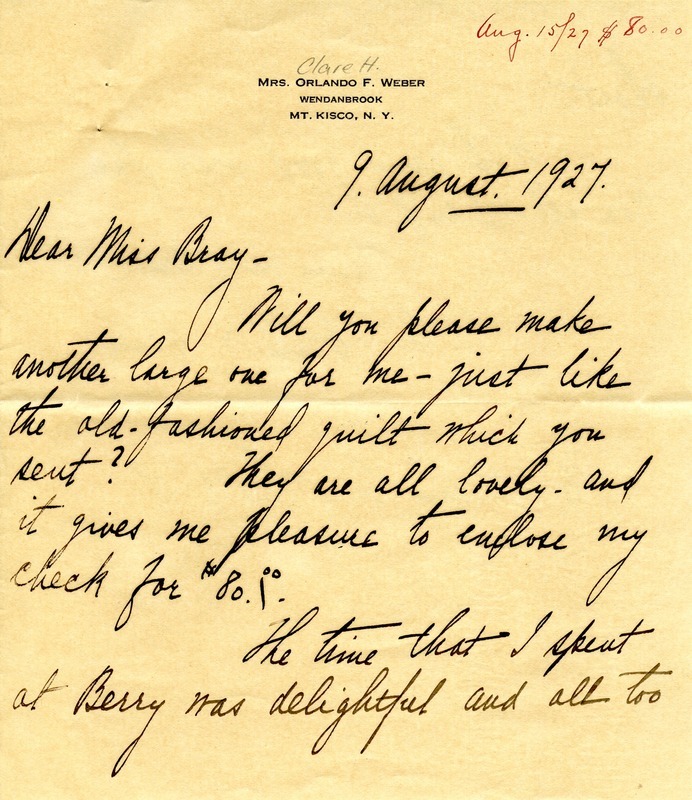 Clare H. Weber, “Letter to Martha Berry from Clare H. Weber.” Martha Berry Digital Archive. Eds. Schlitz, Stephanie A., Sherre Harrington, Chelsea Risley, Alan Henderson, et al. Mount Berry: Berry College, 2012. accessed April 24, 2019, https://mbda.berry.edu/items/show/5966.